Allen was the voice of various New York-based children's television show characters, appearing on Winky Dink and You as Mr. Bungle for five years, and playing "Phineas T. Bluster", "Flub-a-Dub", and various other puppet characters on Howdy Doody (as well as several "live" characters, including Ugly Sam and Pierre the Chef) for 4 years. Dayton was also the voice of Deputy Dawg, Heckle and Jeckle, Luno, and many early Terrytoons cartoon characters. 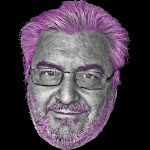 He continued to be a voiceover performer through the 1990s. He was best known as the "Why Not?" man when he joined the cast of the NBC Sunday night variety show that Allen began hosting to compete against Ed Sullivan on CBS. The catch-phrase began as a stalling ad-lib to an interview question; then it caught on. 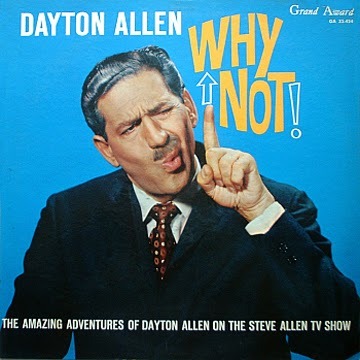 Allen used it for television commercials and saw novelty toys, a book and a record spinoff the "Why not?" phenomenon. In its day, fans were shouting "Why not?" as often as Mad Magazine's famous "What? Me Worry?" Thanks to the folks at CCC! 0 comments on "Dayton Allen - Why Not! 1960"